I know you’re all wondering when I’ll start showing spring images with no snow and some flowers. I’ll be happy to…once a proper spring arrives. We have 8 inches (20 cm) of snow dueto fall tomorrow night. It seems that everytime the trails start to clear and the daffodils prepare to bloom, we get hit with another big storm. This entry was posted in Uncategorized on March 31, 2017 by milfordstreet. The second half of the door images from Old Sturbridge Village in Central Massachusetts. 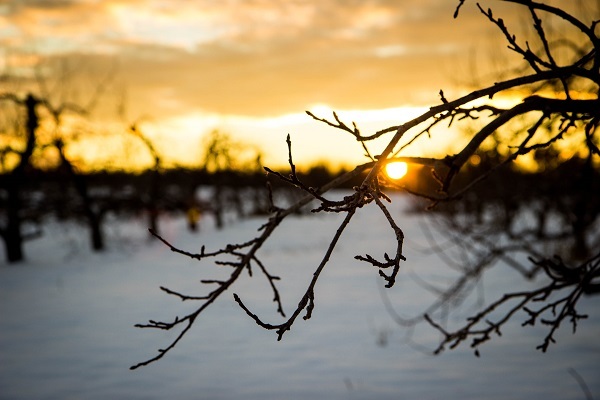 It is a beautiful place to visit in any season. This entry was posted in massachusetts and tagged doors, history, houses, museum, sturbridge, village on March 30, 2017 by milfordstreet. On the top floor of Boston’s Faneuil Hall is the museum and headquarters of the Ancient and Honorable Artillery Company of Massachusetts. The Company is the oldest chartered military organization in the western hemisphere. Its charter was granted in March 1638 as part of a British colony whose mission was to prepare its members to serve as officers in the enrolled militia companies. It later served the new nation of the United States and has fulfilled its mission continually since. IN the twentieth century, the mission changed with the creation of the National Guard and the federalization of officer training. The Company mission has changed to a supportive role in preserving the historic and patriotic traditions of the city of Boston, the Commonwealth and the Nation. These are a few images of the museum. It has military memorabilia from the Company’s nearly 400-year history. Much of it is in glass cases and therefore is difficult to photograph. This will give you a sense of the space. Now, one of the items in these images is not like the other. The brightly striped uniform is that of the Swiss Guard who protect the Pontiff. Sunday marks the end of a photo exhibition about the Swiss Guard. This entry was posted in boston and tagged artillery, boston, faneuil, military on March 26, 2017 by milfordstreet. This is another image made from our living room window. 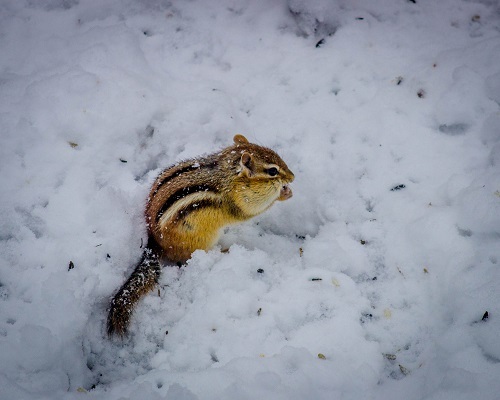 This chipmunk was hoping for an early spring and was disappointed to come out to a full on blizzard last week. Before the storm really got going, he scrounged around for a bit of bird seed. This entry was posted in Uncategorized on March 25, 2017 by milfordstreet. Here are a few scenes from Old Sturbridge Village in Massachusetts. It is a living history museum in the Central part of the state. This entry was posted in Uncategorized and tagged cart, horse, houses, sturbridge on March 24, 2017 by milfordstreet. 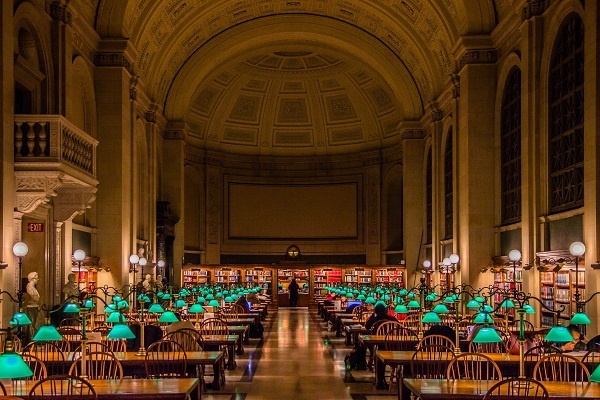 This is the last of my images from the Boston Public Library. I really enjoy this room. You can hear a pin drop. This entry was posted in boston and tagged bates, boston, mckim, public library, reading room on March 19, 2017 by milfordstreet.